How to solve display problem after updating k518ise lonsdor? it is the good news that k518ise adds many kinds of car list on october 2018. that means, lonsdor k518ise new update makes the deivce is more powerfull than before. 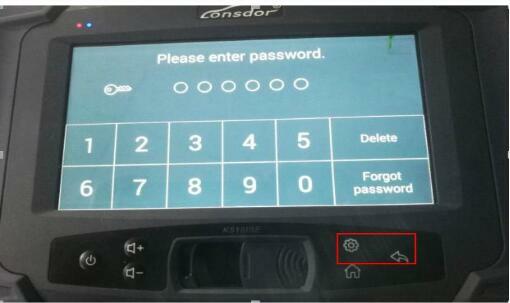 lonsdor k518 ise released new update adds Trial update , clearer car logo, operation reference and push functions features. After updating k518ise lonsdor? you may met difference problems when you use it. today, Nandrepair Shop will share the solution to abnormal display after updating k518ise. 1. After rebooting the device, please press and hold the setting and return buttons( red box) simultaneously for few seconds. 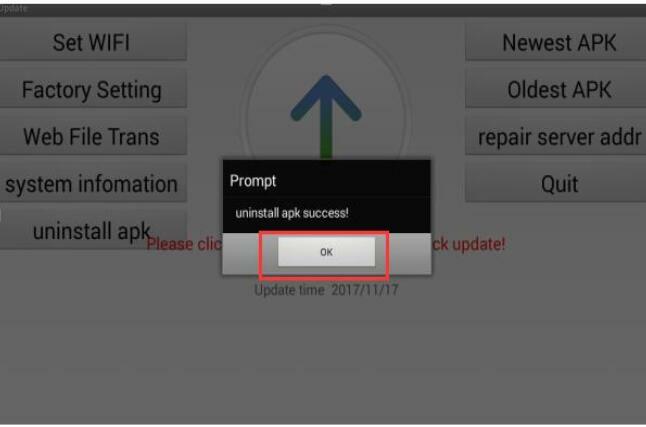 2. the following interface appears, please click" uninstall APK" button in the red box, and wait for few seconds. 3. it skips to below interface, please click " ok" to continue. 4. the following interface appear, please click the button in the red box to install factory-set/default APK. 5. please wait for about half a minute, the factory-set APK is isntalled and initiates automatically, then input the password on boot, and click"OK", it skips to below interface, click" update" in the red box, remeber to reboot the device after updating, you can use it normally now. alternatively, you have encountered some other problems after the updating the tools, you can contact on www.nandrepair.com to Submit your problem, we will do our best to help you.